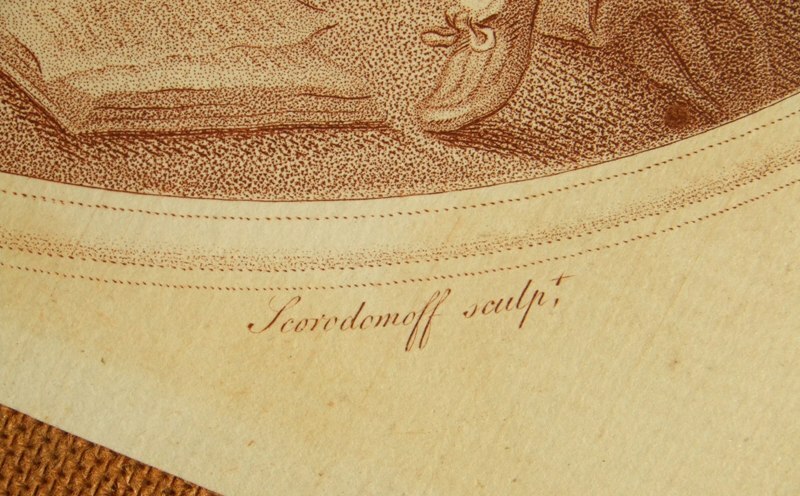 Gavrila Ivanovitch Scorodoumov; 1748 St. Petersburg –1792, also known as Gabriel Scorodomoff, Gavril Inanovich and Gawril Ivanowitsch as well as Skorodomoff. 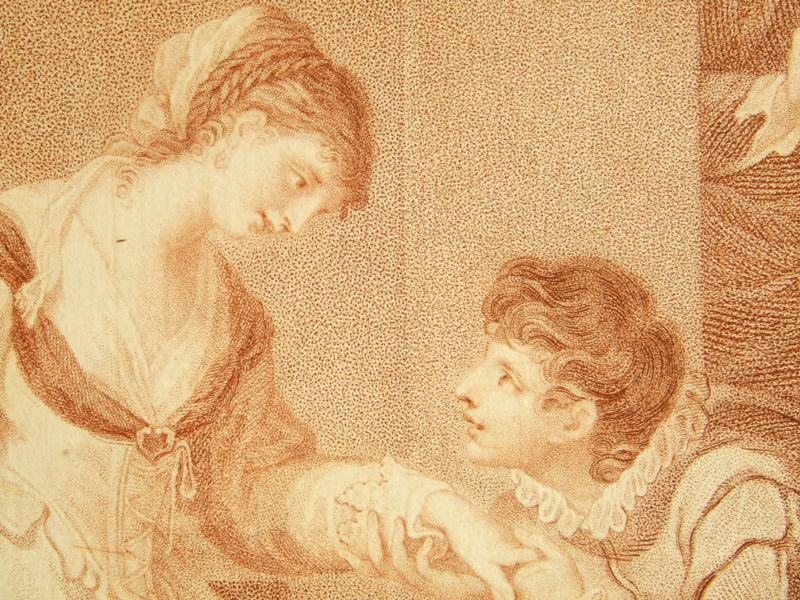 Worked in London 1775-82, designer and engraver, pupil of Bartolozzi. 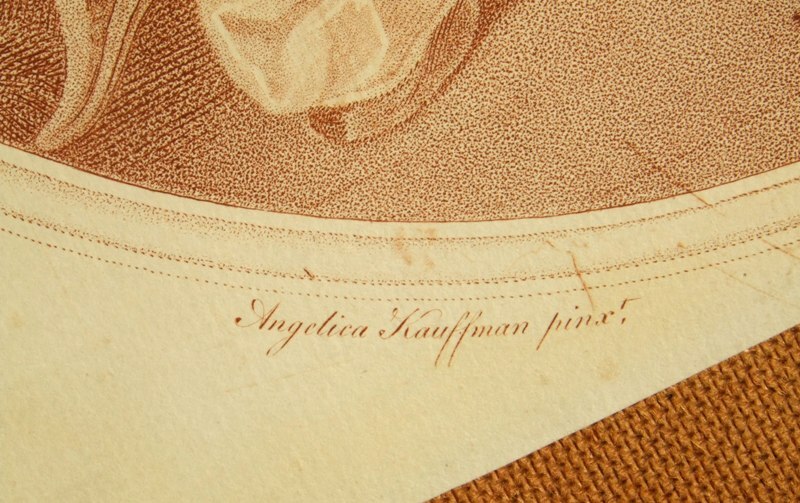 Angelica Kauffmann;1741-1807. 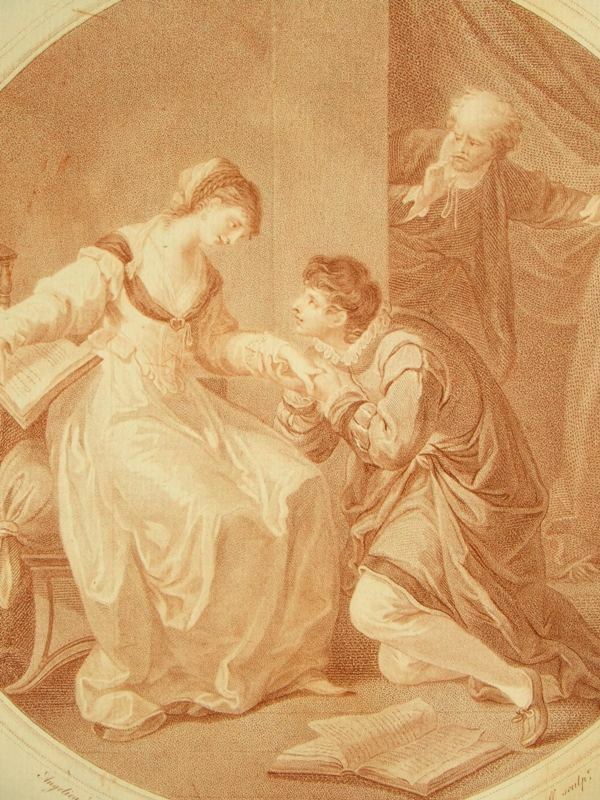 Swiss neoclassical painter and graphic artist. She went to England, where she enjoyed success as a fashionable portrait painter and decorator. Protégée of Sir Joshua Reynolds, Kauffman was one of the original members of the Royal Academy. She often decorated houses designed by the Adam brothers. After her marriage in 1781 to the Venetian painter Antonio Zucchi, she lived in Italy, where she flourished in artistic and literary circles. 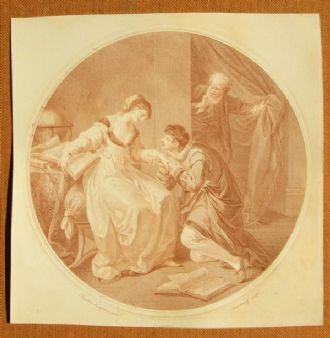 A rare stipple engraving which is bright with original colouring, sepia ink lines and stipples, the image measuring approximately 28 cms. (11 ins.) within a fine but evident platemark and impression. Unframed and unmounted, the condition of the image and sheet is good, with toning, edge wear and handling marks condusive with age.